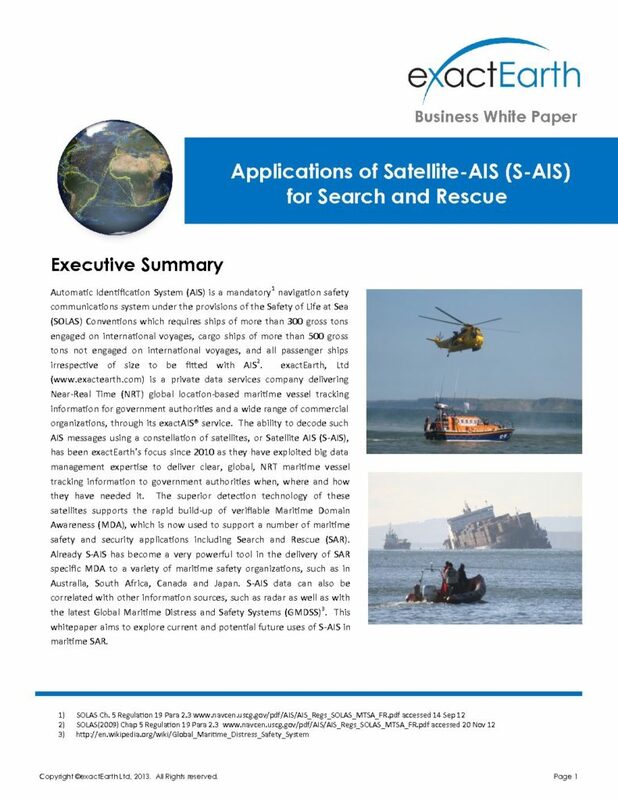 Satellite AIS emerged as new technology in the late 2000’s and has changed the landscape for monitoring the maritime domain. Improving upon existing technology already deployed aboard most large vessels across the globe, Satellite AIS is truly revolutionary in providing a complete and global picture of the world’s shipping. While AIS has been deployed successfully, it suffers from a major limitation in that, due to the curvature of the Earth, its range is limited to approximately 50 nautical miles. Visibility scope is significantly enhanced using S-AIS, creating increased maritime situational awareness beyond the 50 nautical mile range from shore.